When Priyanka Chopra makes a mark for herself internationally, we claim her achievements as our own, says Pooja Bhatt. 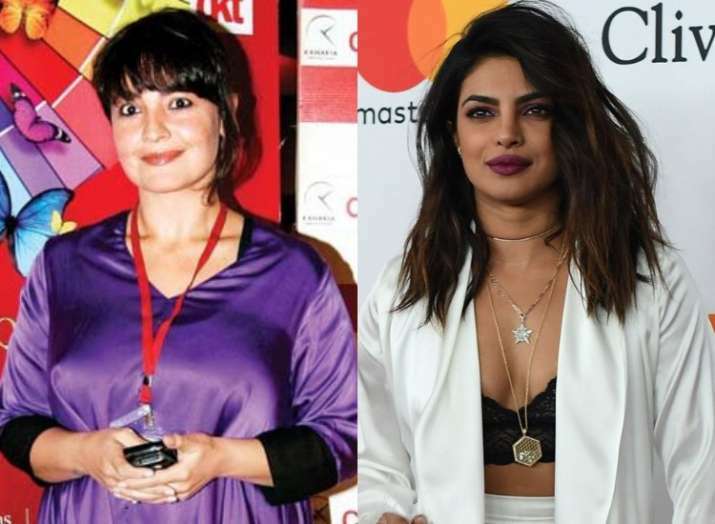 Filmmaker-actress Pooja Bhatt has come out in support of Indian actress Priyanka Chopra, who is facing criticism over a scene in American TV show "Quantico". Priyanka had apologized for an episode on the show, portraying Indian nationalists as terrorists who were trying to frame Pakistan in a terror plot. "When Priyanka Chopra makes a mark for herself internationally, we claim her achievements as our own and then threaten to ban her films and make her apologize for a work of fiction that has been created by someone else. Can we please attempt to be larger than that?" Pooja tweeted on Monday. After ABC issued an apology, Priyanka said sorry too. "I'm extremely saddened and sorry that some sentiments have been hurt by a recent episode of 'Quantico'. That was not and would never be my intention. I sincerely apologize. I'm a proud Indian and that will never change," Priyanka had tweeted.